In a report on the shining example of of Prophet Muhammad (PBUH)’s life, Nikhat Sattar gives the following conclusion: “The personal legacy of the Prophet — selflessness, simplicity and love of fellow beings — has been forgotten amidst hypocrisy in the race for power and wealth.” Her warning could not have come at a more perfect time than the day after a mob over 1,000 people strong attacked an Ahmadi mosque in Chakwal. Making matters even worse, the attack came on Eid Milad-un-Nabi. 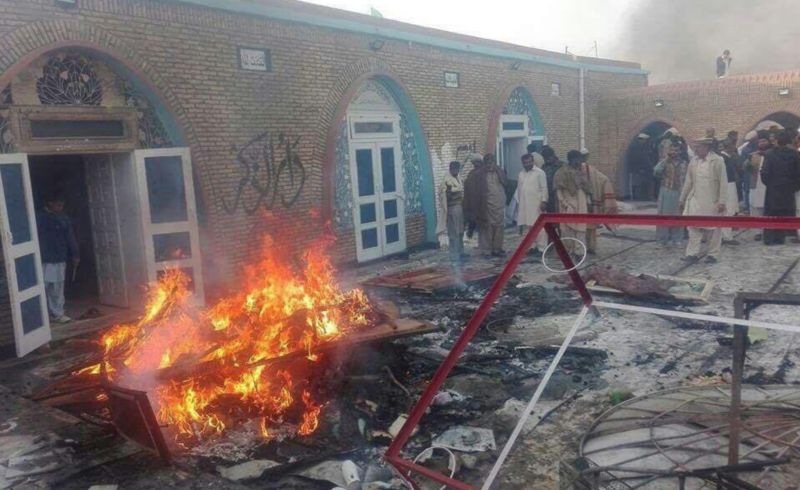 Is this any celebration of our Prophet (PBUH) to attack and burn a minority place of worship? Answer this honestly: Is it Sunnah to attack religious minorities or to protect them? No answer which are we doing? Even though you and I did not take part in the attack, we still share some responsibility because we have sowed the seeds for it. Look at the way media covers the attack and refuses to use the term ‘Ahmadi mosque’. No, it is always ‘Ahmadi place of worship’. You and I can agree or disagree about the theology of their faith, but what is the point of this insult expect to insult them? Some will say that it protects innocent people from accidentally wandering into an Ahmadi mosque for prayers, but is this really the case? When has a Shia or a Sunni wandered into each other’s mosque on accident and magically changed sect? No, this is only an excuse for our bigotry. Whatever you personally think of Ahmadis faith, it is their faith and as religious minorities in an Islamic society they deserve our protection, not our hatred. Prophet Muhammad (PBUH) spread Islam through his shining example of kindness and mercy, not hatred and bigotry. If we want to follow his example we must do the same, even for those we do not agree with.